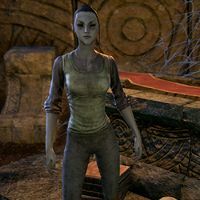 Sela is a Dunmer found inside the Forgotten Crypts. She is looking for her husband. "I'm sorry. It's the cinnamon-scented perfume I wear." "It was Garil's favorite. I may have overdone it today." This page was last modified on 11 March 2019, at 20:30.